BLOOMINGTON – Mary M. Wilcox, 79, of Bloomington, died at 1:06 p.m. Wednesday (April 22, 2015) at OSF St. Joseph Medical Center in Bloomington. A memorial service will be at 11 a.m. Tuesday at Calvert & Metzler Memorial Home, Bloomington. The Right Rev. Bishop Stephen D. Strawn will officiate. Inurnment will take place at Mountain View Memorial Gardens in Bristol, Va.
She was born in Bristol, Va., on Nov. 18, 1935, to Samuel J. and Margaret L. Whitaker Barr. She married the Rev. George F. Wilcox on Dec. 26, 1973, in Bristol. He preceded her in death on June 3, 1998, in Bloomington. She is survived by one brother, Simon (Julia) Barr, Bristol, Va.
Mary earned her undergraduate and graduate degrees from the University of Pennsylvania, where she was a member of the Phi Beta Kappa national honor society. 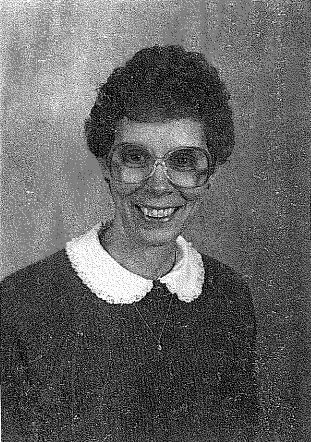 She taught in senior high schools in Virginia and Arkansas before moving to Illinois with her husband in 1978. She worked more than 20 years with developmentally disabled adults as a counselor and behavioral therapist. Memorial contributions may be made to the Diocese of Quincy at 601 W. Florence Ave., Peoria, IL 61604.